Frequently users wonder how they can get help for form controls and discover all the properties, methods and events they can use. 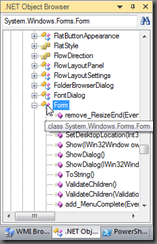 In this article we will cover a number of ways to access information about Form controls. You can find help of the Form controls right here on our blog. 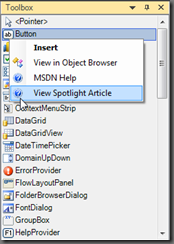 The Spotlight on Controls series covers individual Form Control and list the important properties and methods as well as code samples written in PowerShell. The primary resource for .NET help is the Microsoft Developer Network (MSDN) Library. 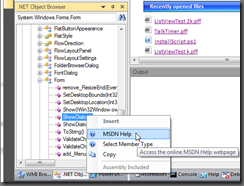 The MSDN is an invaluable resource for accessing help on any .NET object, including the form controls. We highly recommend using the MSDN to access help on the form controls, when the control isn’t covered in a Spotlight on Control article. 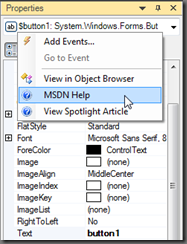 The MSDN contains help information on all the object type methods, properties, and events. Note: MSDN articles contain samples written in C#, VB, and C++. 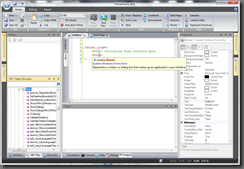 We recommend referring to the C# samples, because its syntax is similar to PowerShell’s. 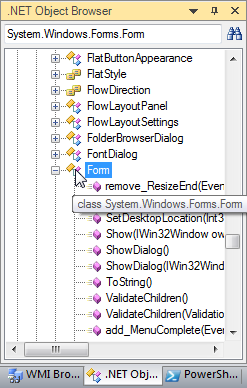 A useful tool for discovering more about form controls is the .NET Object Browser in PrimalForms 2011. 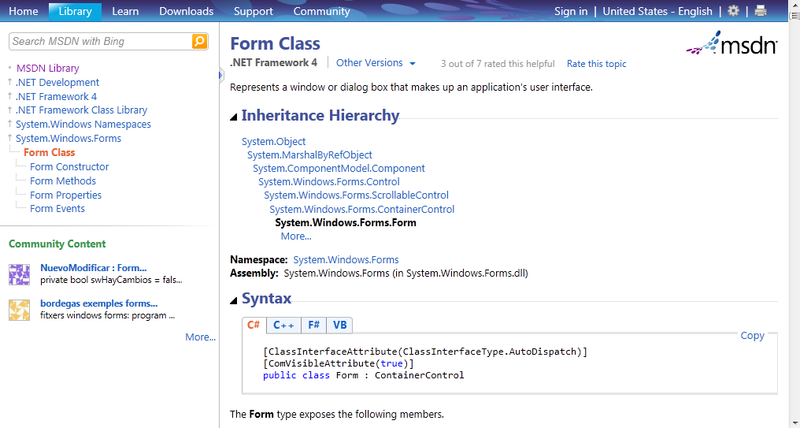 The browser allows you to view .NET classes including their properties and methods. Another important feature of the browser is that it allows you to link directly to the MSDN. 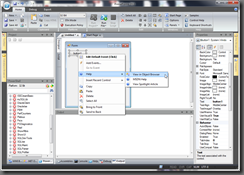 Now let’s cover other ways to access control help within the PrimalForms 2011 application. 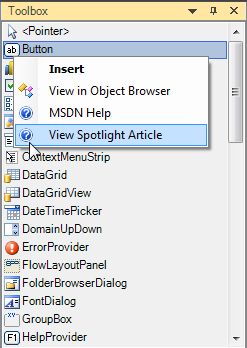 Using the context menu in the designer you can quickly via the control type in the object browser, MSDN and the control’s spotlight article (if it exists). 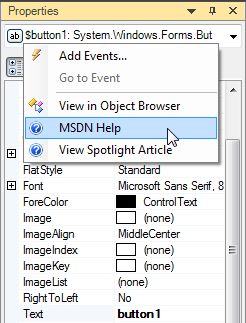 Right click on any toolbox item to display the help context menu. 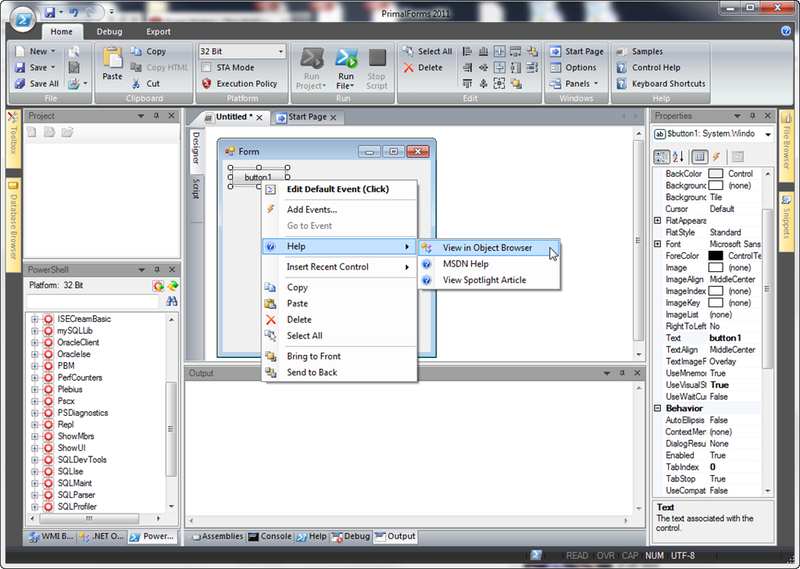 Right click on the control combo box in the Property Pane to display the context menu. Right click on any node in the Object Browser to get help for any Type, Method, or Property. 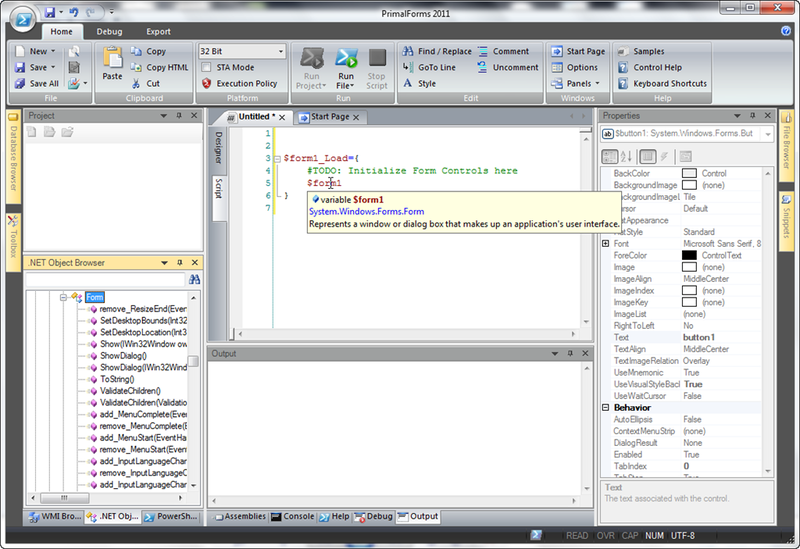 When scripting and the PrimalSense code completion displays information on the variables and object members. 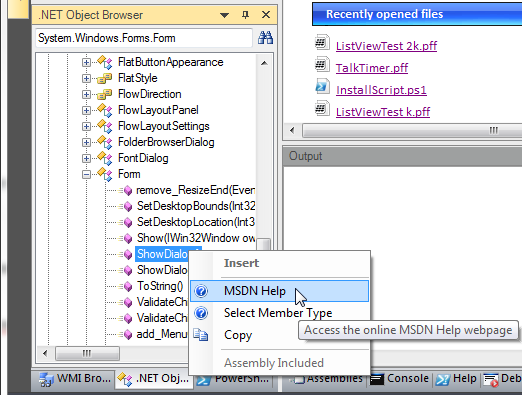 You can quickly access the Object Browser or MSDN by clicking on the Help Links and the floating window. If you place the caret on an object in the editor you can use the context help (F1) to select the object‘s type in the Object Browser or display to Cmdlet help. As you can see, whenever you need control help, there are various locations where you can quickly access help for the form controls.